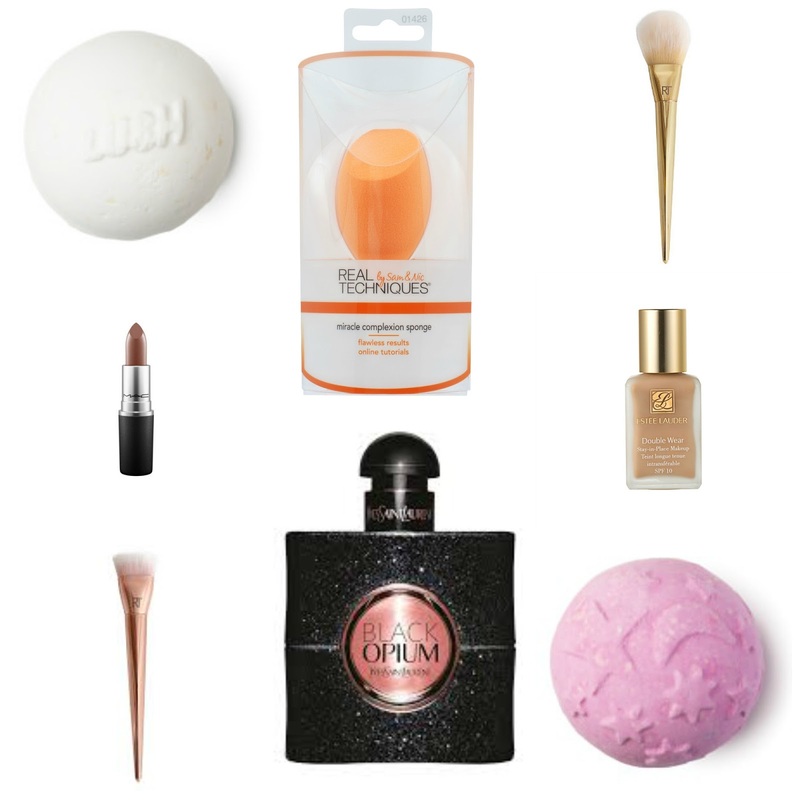 There's a bit of autumn creeping into my wishlist which I think both the MAC 'Stone' Lipstick and the Lush 'Twilight' Bath Bomb and Lush 'Butterball' Bath Bomb reflect slightly! I'm also looking at some new Real Techniques tools, in particular the Real Techniques Miracle Complexion Sponge and Bold Metals Collection by Real Techniques 301 Flat Contour and Bold Metals Collection by Real Techniques 100 Arched Powder brushes. I really want to incorporate using a sponge into my makeup routine, and the Bold Metals brushes look beautiful! Finally, I've been wanting to try the Estee Lauder Double Wear because I've heard extremely good things about it, and it has been recommended to me by a few people. I also really want to try Yves Saint Laurent Black Opium Eau de Parfum- this apparently smells amazing, and I love my perfumes! YSL Black Opium is soooo good and I hope you've got the Estée Lauder double wear it great.